Grab this coupon to save $2.00 off The Fantastic Mr. Fox on DVD! A Charlie Brown #Thanksgiving (Deluxe Edition) Just $12.99 at #Target! Well, now that Halloween is behind us, shall we focus on the next holiday? That’s right, Thanksgiving is upon us! What better way to celebrate any holiday than with some Charlie Brown? Right now you can grab A Charlie Brown Thanksgiving (Deluxe Edition, Restored/Remastered) at Target for just $12.99 (regularly priced $19.99). Grab this holiday classic for the whole family! 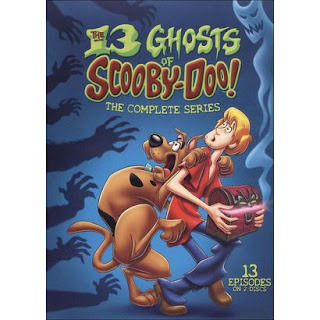 The 13 Ghosts of Scooby-Doo: The Complete Series (2 Discs) on #Sale for $14.99 at #Target! Right now at Target, you can grab The 13 Ghosts of Scooby-Doo: The Complete Series (2 Discs) (Dual-layered DVD) for just $14.99! Originally, $19.99, that’s $5 off! This offer is for a limited time so order while you can! Grab this coupon! You’ll save $5.00 on Transformers: Dark of the Moon on any Blu-ray or DVD! Maybe an early holiday gift for the little Transformers fanatic in your family? Join the Disney Movie Club and Save on all titles! You’ll receive four Disney Movies for just $1.00 plus FREE shipping on your initial order with membership! How awesome is that? You can choose from Disney Classics or New Releases!